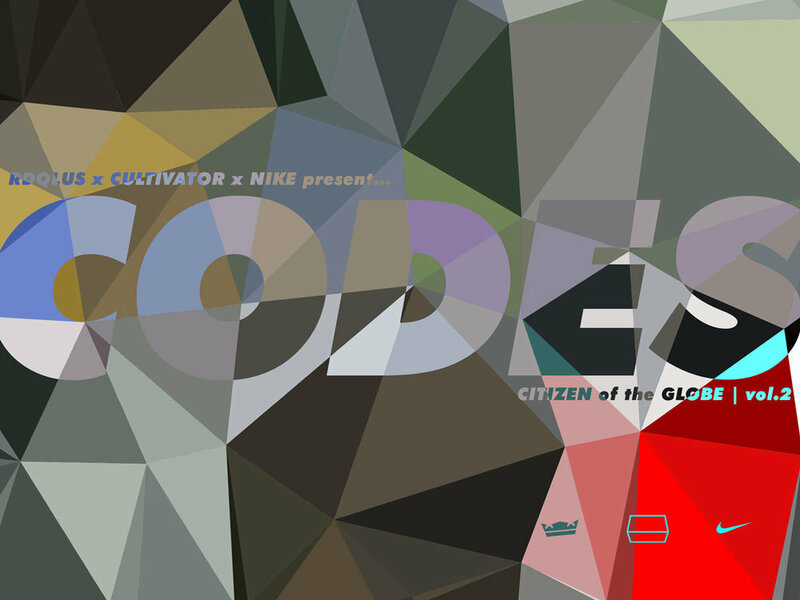 The RDQLUS x Nike x Cultivator “Citizen of the Globe” capsule collection was a massive achievement and success. Little did I know that success would bring yet another opportunity to create a capsule collection—the second in a year. So with the momentum of the first collection still having energy, I decided to continue the narrative of global travel & wanderlust making better people of us, as we claim all of the world as “home.” From the beginnings of the “Citizen of the Globe” collection, came the “CODES” capsule collection; limited-edition sneakers, only available for six days. The concept was built around the global airport coding system—airports are the gateways to the cities of the world, and each has a distinct code. With these codes and a passport, a person can unlock the gates to the unique experiences of this world. 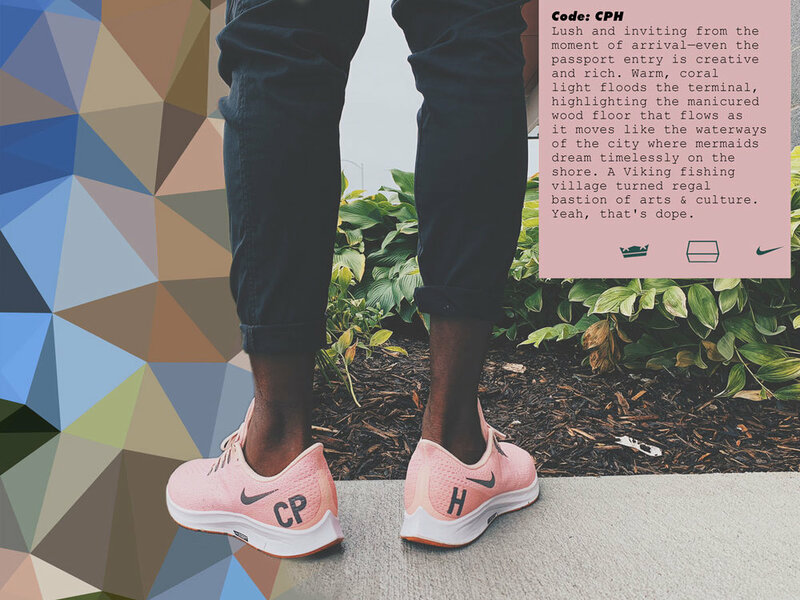 The featured codes in this collection were CPH, LHR and ARN (do your homework to find out the cities); each city with a distinct vibe, flavor and narrative—distilled and represented in the sneaker that would bear its code. Like the first collection, the shoes were only a small part of the totality of work done to creative the collection. Aside from the actual travel and initial photo-journaling, RDQLUS helmed concept ideation, creative direction, a coordinated marketing plan, design of all campaign assets, and shot all photography. The timed rollout of the promotion included posters, Instagram story imagery, downloadable mobile device screens, and coordinated apparel matching each pair of shoes; a massive and complete effort—top to bottom—of what RDQLUs brings to the table, and in truly world-class fashion.